Do you love ballroom dancing, ice skating, karate, chess? Are you into fashion, poetry, cooking, or just making a mess? 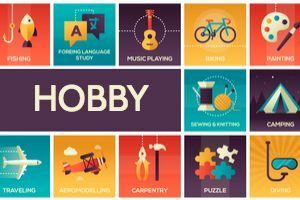 Whether you're a storyteller or an actor, or something else, this quiz will try to guess what hobby you most enjoy. Questions in this quiz will ask about your personality and activities in an effort to find out your favorite hobby. Answer each question honestly and remember: this quiz is just for fun.